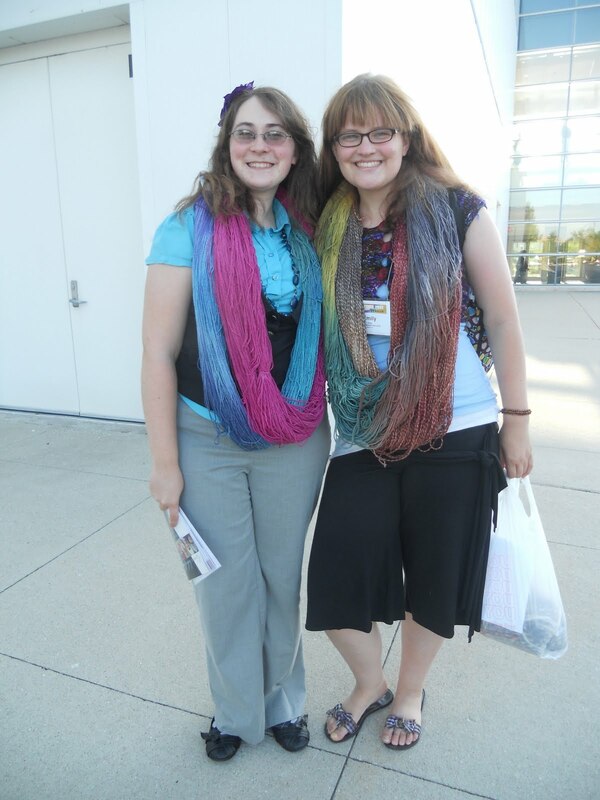 Last week, Brittany and I had the opportunity to attend Stitches Midwest! This was my second Midwest Stitches (3rd Stitches overall) and Brittany's first Stitches. Although this blog is dedicated to our work in 60 Quick Knits, I figured it would also be fun to write about our adventure to the biggest yarn convention in the Midwest. We had a lot of fun, but we also worked hard. Since Brittany and I both work for Interlacements, we spent a lot of time selling Interlacements Yarn in their booth. I gave plenty of beaded scarf demonstrations, and Brittany helped everybody pick out colors and directed them to the sale yarn. At the end of the day, our feet were sore from walking and our faces were tired from all the talking we did. It was worth the effort, as we got to meet a lot of wonderful people this weekend. However, just because we sell for one yarn company, does not mean we will pass up the opportunity to purchase from other yarn companies. We picked up lots of yarn goodies including a few hat patterns we were eying up from the Halos for Hope booth. Brittany got to meet Shannon, one of our favorite Cascade people! We also got to meet Michael, another Cascade person. 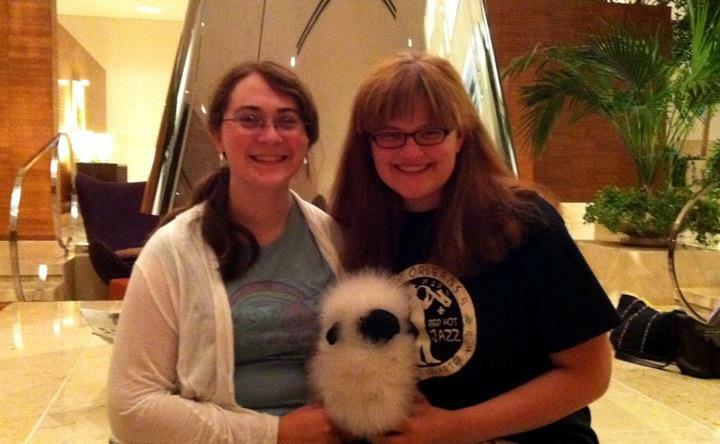 We even got a snap shot with the Cascade sheep (who has yet to be named). WE ARE EXCITED! I, of course, wanted my copy as as possible, but Brittany told me I have to be patient. It's full of great patterns and picks up where the original 60 Quick Knits left off with plenty of mittens, gloves, scarves and more!!! Brittany and I fell in love with the book... maybe a new blog for Brittany and I will be brewing in the future...? Who knows! Happy Knitting! 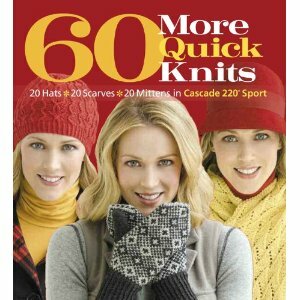 More in regards to our 60 Quick Knits Adventures to follow very shortly! !